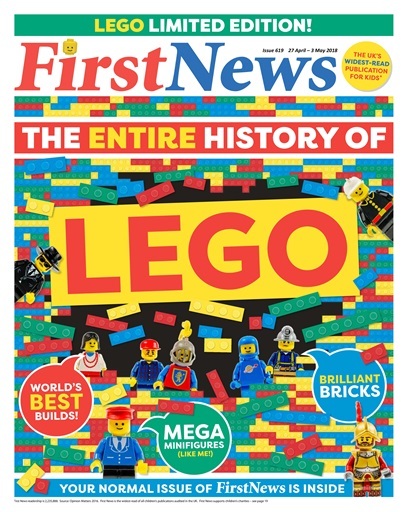 We've got everything you could ever want to know about LEGO in our a Special Edition cover this week! Not a fan of the most incredible bricks on Earth? Don't fret! 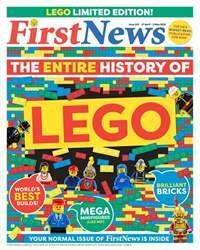 Your normal First News is inside! This week's front cover tells the story of the superhuman Bajau people, who can hold their breath for up to thirteen minutes! Plus, inside we hear about the hunt for new planets, chat to Jumanji and Avengers star Karen Gillan, and our Junior Journalists grill Foreign Minister Boris Johnson on the Commonwealth! All that, plus SO much more – all inside this week's great First News!